Feature documentary telling the story of the album that inspired the evolution of the hip hop scene. Hustlers Convention was an LP released by Jalal Nuriddin under the stage name of Lightnin' Rod in 1973. Although it didn't receive much acclaim at the time, the album has since influenced countless hip hop artists and has been sampled by The Beastie Boys, Wu Tang Clan and Nas, amongst others. 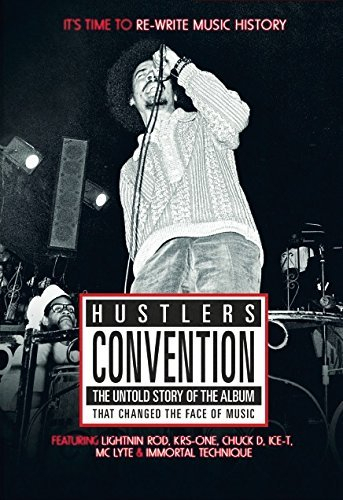 Now, determined to give the album the recognition it deserves, director Mike Todd looks at how Hustlers Convention paved the way for a new era in music. Features contributions from Lightnin' Rod, KRS-One, Chuck D, Ice T, MC Lyte and Immortal Technique.